Rudy Fernandez was the star of the night for Real Madrid as it pounded Maccabi Electra 79-53 in the most lopsided of the four Game 1s to the Turkish Airlines Euroleague playoffs. And when the buzzer sounded, he was also the bwin MVP for Game 1 of the playoffs with a performance index rating of 22 – the best of all 94 players to suit up for playoffs openers. Rudy scored 15 points by making 4 of 5 two-point shots, 2 of 5 from downtown and splitting a pair of free throws. He added 6 rebounds, 2 assists, 1 block, 5 fouls drawn and a few highlights to boot in lifting Los Blancos. 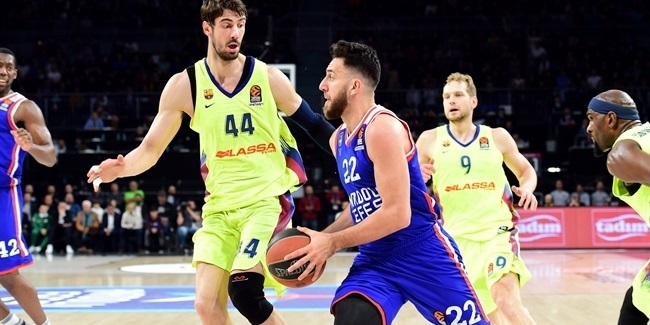 Four more players tied for the next best index rating with 20: Nenad Krstic of CSKA Moscow, Georgios Printezis of Olympiacos Piraeus and Semih Erden and Kerem Gonlum, both from Anadolu Efes Istanbul. Krstic scored 16 points on 7-of-9 shooting in addition to 5 rebounds as CSKA beat Caja Laboral Vitoria 89-78. 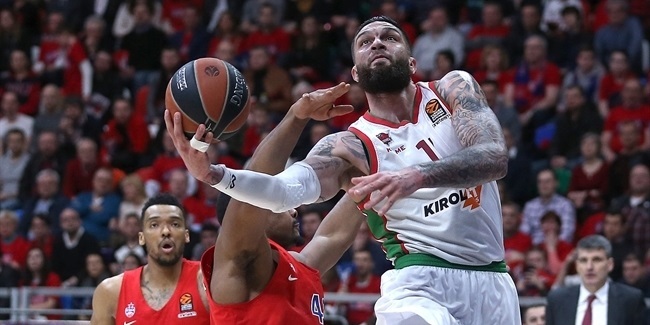 Printezis scored a career-high 26 points on 4-of-7 three-point shooting as the Reds beat Efes 67-62. Gonlum led Efes with a season-high 17 points, while Erden amassed 9 points without a missed shot, 7 rebounds and 2 steals. Printezis also boasted the top offensive performance in the playoff openers with 26 points. Barcelona center Ante Tomic’s 12 rebounds were the most of any player in Game 1. Madrid playmaker Sergio Rodriguez dished 10 assists to lead all players. Tomic, who scored 13 points, and Rodriguez, who scored 10, were also the only players to notch double doubles in the playoff openers. Seven players shared the high for Game 1 in steals with 2. Top 16 blocks leader, Shawn James of Maccabi, and his Madrid counterpart, Rafael Hettsheimeir rejected 3 shots each in Game 1. Amazingly, Hettsheimeir did so in just four minutes of action. 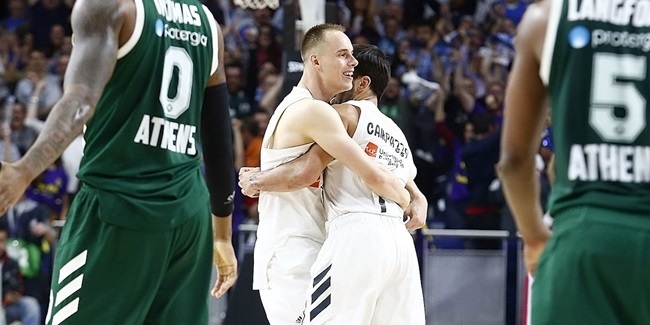 After two playoff games the reigning EuroLeague champ Real Madrid is the only team with a 2-0 lead, and no player’s contribution was bigger than that of Facundo Campazzo.